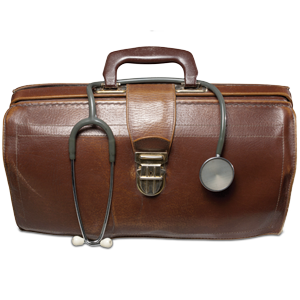 Comprehensive Healthcare law services. It's kind of our bag. Click here for the latest trends, updates and insight on our blog page. McBrayer helps clients to obtain the appropriate facility licensing for their scope of service, including applying for a Certificate of Need when necessary. We also help clients to determine the appropriate ownership and structural requirements for their scope of services, including corporate practice of medicine considerations. Our healthcare attorneys provide guidance for individual and institutional clients to help protect their provider licenses, including responding to complaints, notices of violations and compliance audits. Kentucky healthcare providers planning to establish new facilities or expand existing services must first obtain a Certificate of Need (CON) from the state in many circumstances. This complicated administrative process is compounded by other laws and regulations governing healthcare facilities, operations and transactions. Once the CON is issued, our attorneys can assist with adherence to licensure standards, including the life safety code, so the client is able to procure the license necessary to establish a practice. For more information about our services and how our lawyers can help you navigate the challenges facing healthcare providers and industry participants, contact McBrayer law firm. Our CON requirement attorneys serve healthcare clients throughout Kentucky from our offices in Louisville, Lexington, Greenup, and Ashland and a government relations practice in Frankfort with a presence in Washington, D.C.
Primary Care Providers – Are you feeling the pinch? Kentucky requires a CON for the establishment of a health care facility or service. We can assist new, expanding or relocating health care facilities or services in obtaining their CON. We work with clients to determine the geographical area for which a proposed service should be offered. You can rely on us to draft required filings and be present at administrative hearings. Should an appeal be needed, we can assist with that, too. Once the CON is obtained, we can assist with adherence to licensure standards, including the life safety code, so you are able to procure the license necessary to establish a practice.